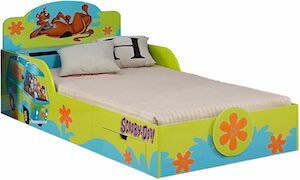 If your little one love SpongeBob and needs a nap then this SpongeBob kids bed is what they need. 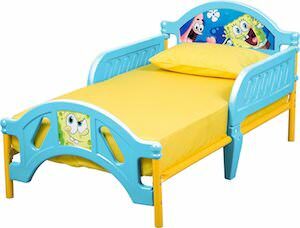 This SpongeBob bed has a strong steel frame and it is yellow and light blue with on the headboard you can see Patrick Star and SpongeBob Squarepants and on the end of the bed you can see SpongeBob. 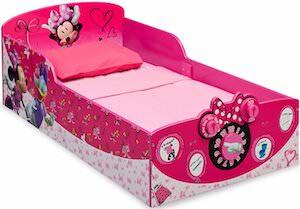 The kids bed fits a normal crib mattress and it has sleeping safely rails that is removable. Your child is going to be so happy to go to bed now because sleeping with Spongebob and Patrick is what every true fan wants and now they can all thanks to this fun bed. 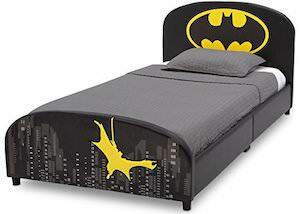 Now sleeping like Batman is something everyone can do thanks to this Batman twin bed. The Batman bed can hold a normal twin mattress and can sleep adults and kids as long as you like Batman because otherwise it may give you nightmares. The twin bed is upholstered in fake leather and on the foot of the bed you can see Gotham City and Batman flying over it and then there is the headboard of the Batman bed that has the famous Batman symbol. So now a child will love you even more when you surprise them with this bed and if you are an adult this bed will look stunning in your bat cave. If you have seen the movie Big Hero 6 then you of course would like to cuddle with Baymax the big white fluffy robot. 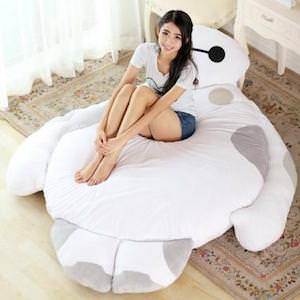 And you are in luck as now you can not just cuddle with Baymax you can sleep on top of him as this is a plush Baymax bed. The bed is shaped like the Big Hero 6 star and is 75 inch tall and to make this bed even better the top sheet is build in so you can just slide in and sleep super close to this amazing Big Hero 6 star. Sure it’s different then your normal shaped bed but hey it is Baymax and different is good. If you child is crazy about PAW Patrol and really could use a new bed then why not get them a PAW Patrol bed. 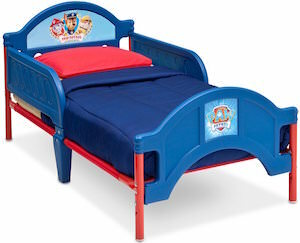 This toddler bed is everything you child has dreamed about a nice sturdy bed in blue and red with on it pictures of PAW Patrol. On the headboard you can see Marshall, Rubble and Chase and on the footboard it has the PAW Patrol logo. The sturdy red frame with the blue sides and foot and head board really work out well in making this a toddlers bed they would want. Now you just need a mattress and you child will be sleeping in no time at all. From the cool animated series of Disney movies Toy story, this bed will help your little Toy story fan have the proper rest that a Space Ranger or a hero cowboy will need. 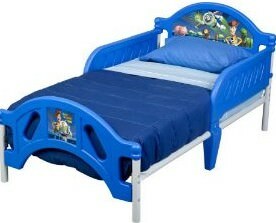 Get your Toy Story Toddler Bed. Do you have a little Princess? 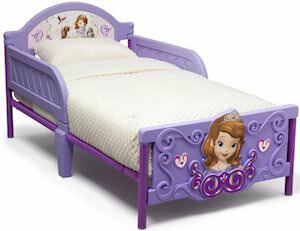 Well then you know every princess needs to sleep in Disney princess style. 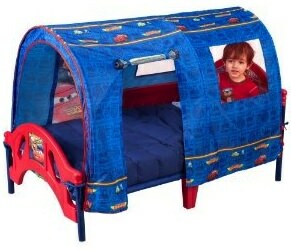 Check out this magical looking bed, it comes with a canopy aswell to make your little one feel like royality. 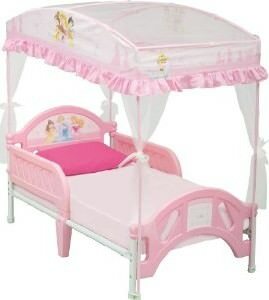 Order your Princess Bed With Canopy.